Last weekend was warm and sunny in Barcelona and there was no excuse to visit one of the most known parks of the city -among locals, tourists tend to go to Ciutadella and the beach mostly. I met four fabulous ladies who came to Barcelona due work reasons and we decided to hit the camera and take some pictures of this park, which has many stories with it. Parc del Laberint d'Horta is special, since it has a labyrinth inside. This is one of the oldest and yet intact gardens in this city, and believe me it is super romantic and beautiful to get some pictures taken. We even saw a couple of models and professional photographers around. The park comprises an 18th Century neoclassical garden and a 19th Century romantic one. 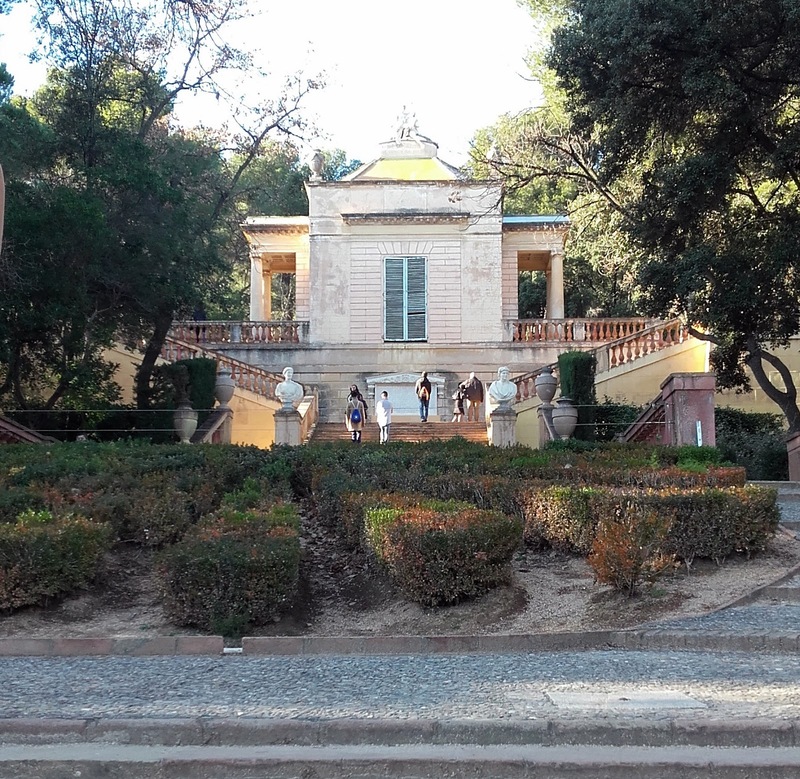 When you enter the park you can see the building of a former palace which belonged to a wealthy family from Barcelona. It has some neohothic elements and a medieval watchtower. There are many sculptures around and busts, which reminise about Greek gods and mythology stories and movies. You can also sit next to fountains, a pound, and many benches near the trees. 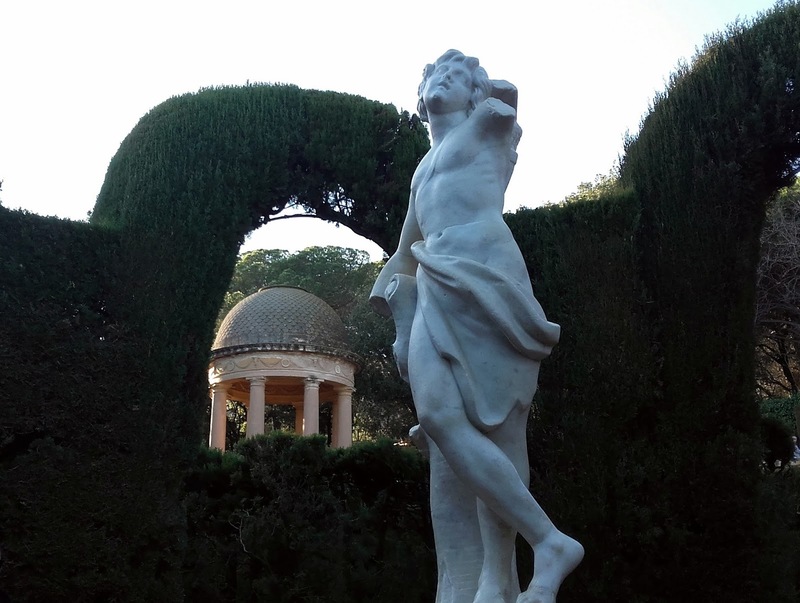 One of the most photographed items in this place is the hedge maze full of trimmed cypress trees, which has a sculpture depicting God Eros, and a marble bas-relief depicting Ariadne and Theseus. Also, replicas of Roman temples are all around. If you go to the third terrace you will see a pavilion dedicated to the nine muses with a big pond behind, where we sat and chit chatted a bit and took pictures together. It is all surrounded by nature and you can get to the forest if you want to enjoy some peaceful minutes, since the maze is full of children playing –but don’t get me wrong, it gives you a total sense of innocence and will sure bring you back some memories of your child years. Since it is still "winter" and you don't know how the weather will play every day, I was wearing a long coat and wool sweater by Zaful, but the afternoon remained sunny and (too) warm so we had to take our jackets off and put our sunglasses on. For an afternoon strolling around with the ladies I went for leather dark pants (Zara) and pointed heeled booties (Fosco), studded bag (Guess) and a chuncky lace up sweater in beige-white (Zaful).